Emi Ishiguro | Paint. Draw. Blend. 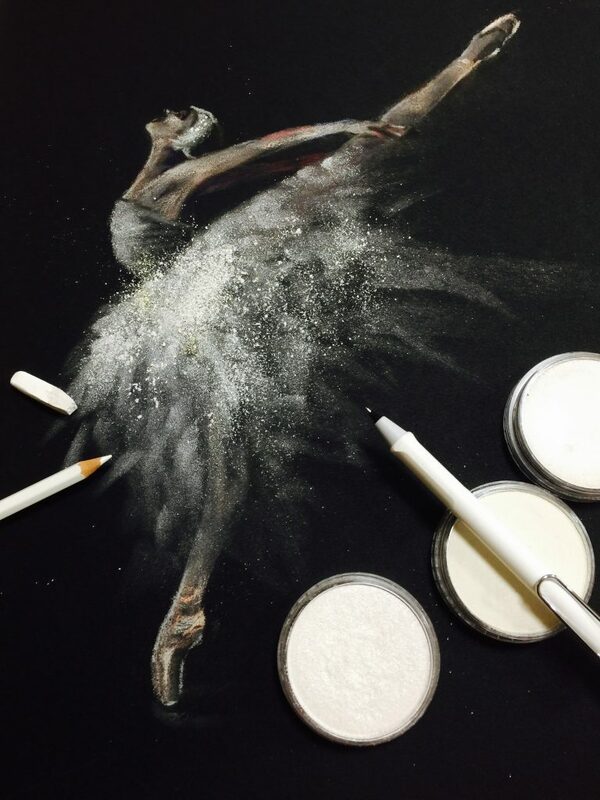 Japanese artist Emi Ishiguro uses PanPastel Colors for her beautifully delicate paintings. I was born in Osaka, Japan. Since childhood, I loved drawing pictures and I always started drawing pictures whenever I find a white paper. I went on to Art University and I learned further techniques but mostly engaged on oil paintings. After graduation, I lived in Atlanta for a couple of years and become deeply fascinated with pastel paintings. 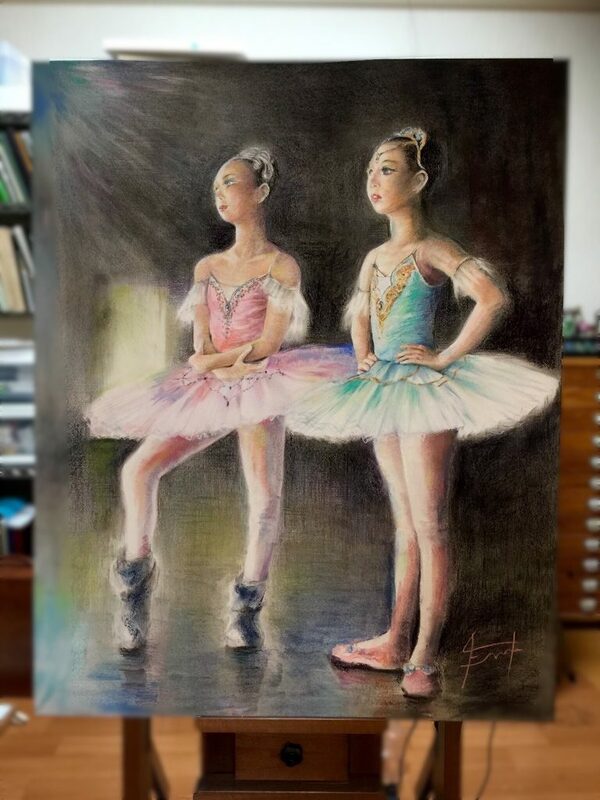 Now I am back in Japan continuing pastel paintings and I also do some workshops. I draw mostly representational paintings. 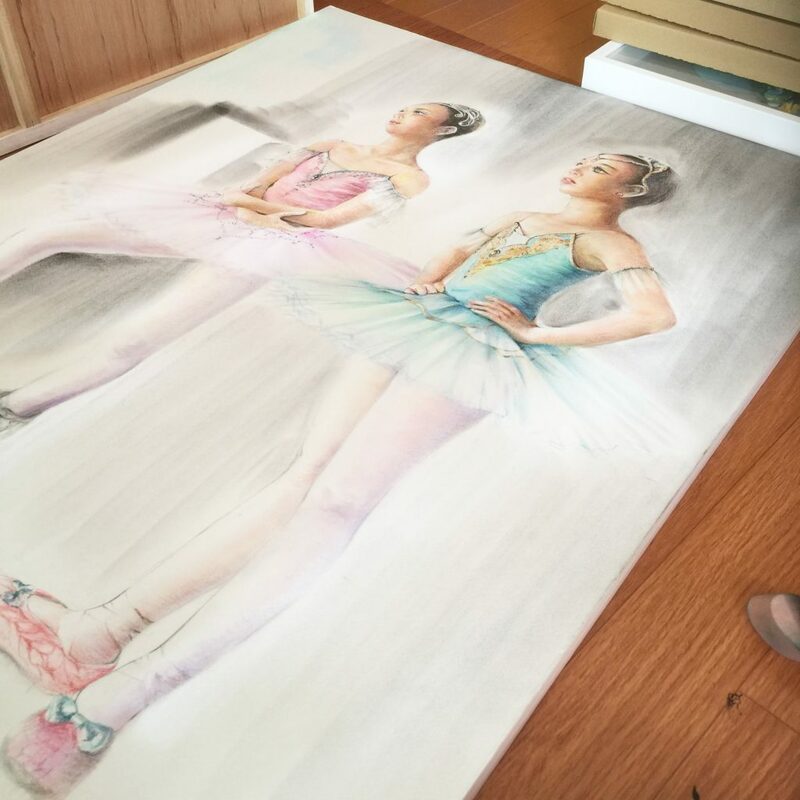 My favorite subject is the ballerina among figure paintings. 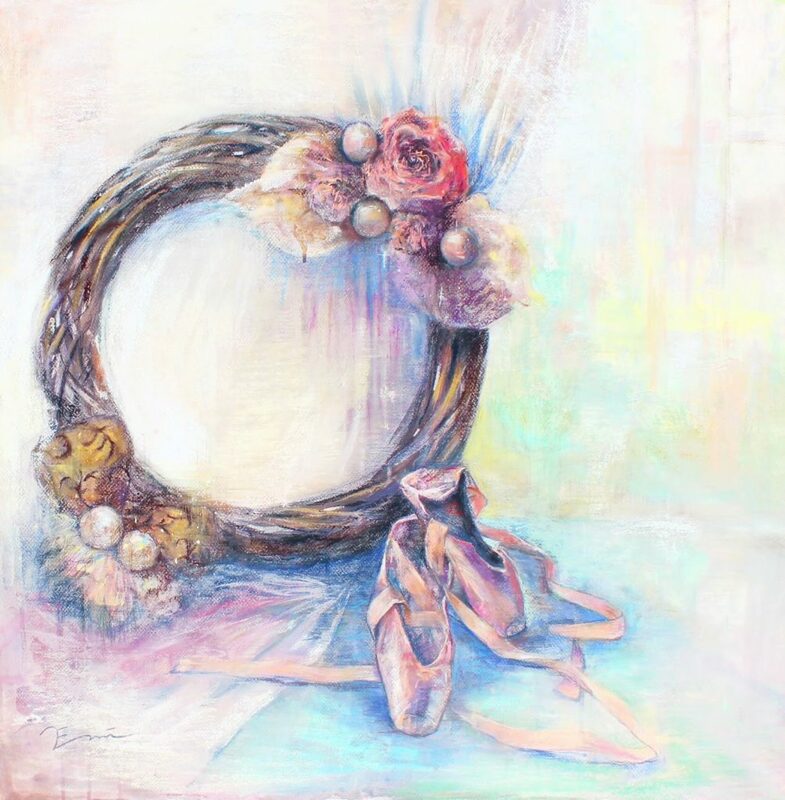 I love its beautiful posture as well as silhouette and I think pastel paintings and ballerina as a subject go well together. I mainly use pastels but most of the time I also add watercolors and colored pencils. In Japan, seasons differ from each other so I also enjoy painting seasonally changing sceneries. Before using pastels, I usually used oil paints but I was not satisfied because it wasn’t exactly expressing what in my mind. During my stay in the US, I studied different kinds of art materials to find a new way of artistic expressions, and it was shocking when I first met pastel paintings. 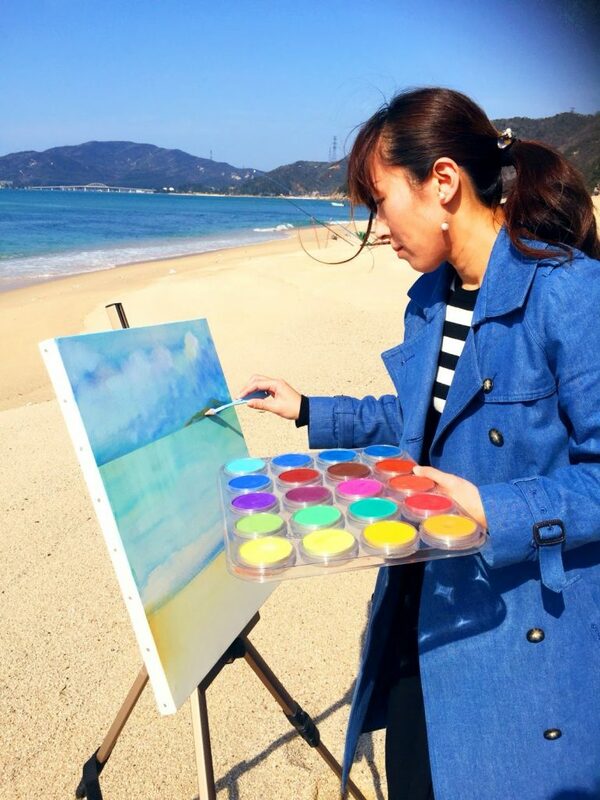 In Japan, pastel painting is not well known like other art materials but I found that artists in the US use pastel materials efficiently to paint pictures. I was moved to see how wonderfully the color is used. 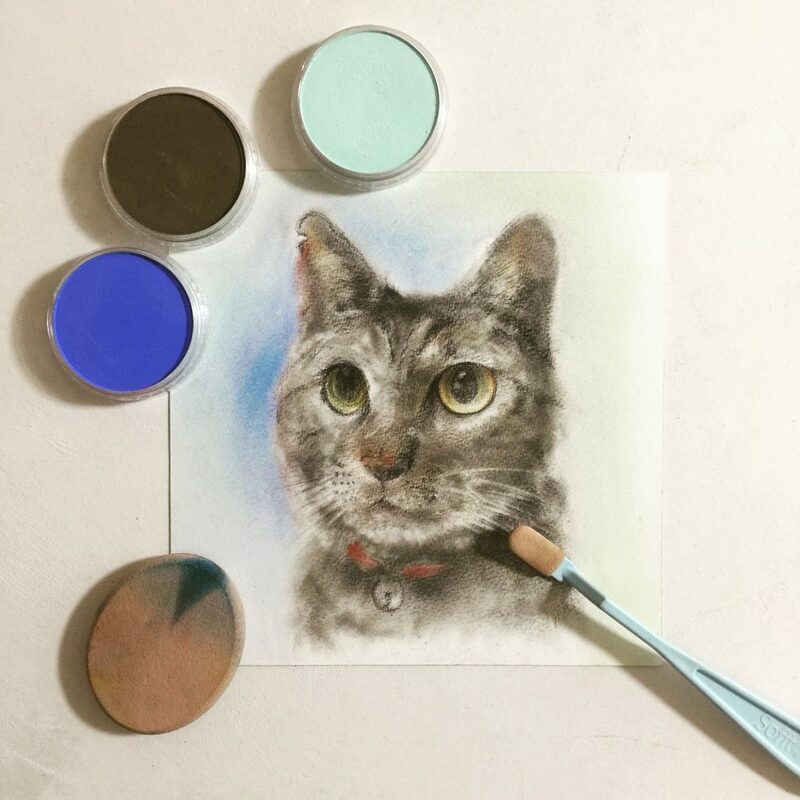 When did you begin using PanPastel Colors? I first discovered PanPastel Colors which was used during a demonstration at an art shop. They were not only vivid and beautiful but also cute like a cosmetic palette and I was so excited that I couldn’t wait to test those materials. When I first used the materials, I was surprised that the materials didn’t have a heavy texture which I liked, and it had a transparency and lightness that I was looking for. Because of its subtle and graceful color, I was convinced that it best fits with my motif. 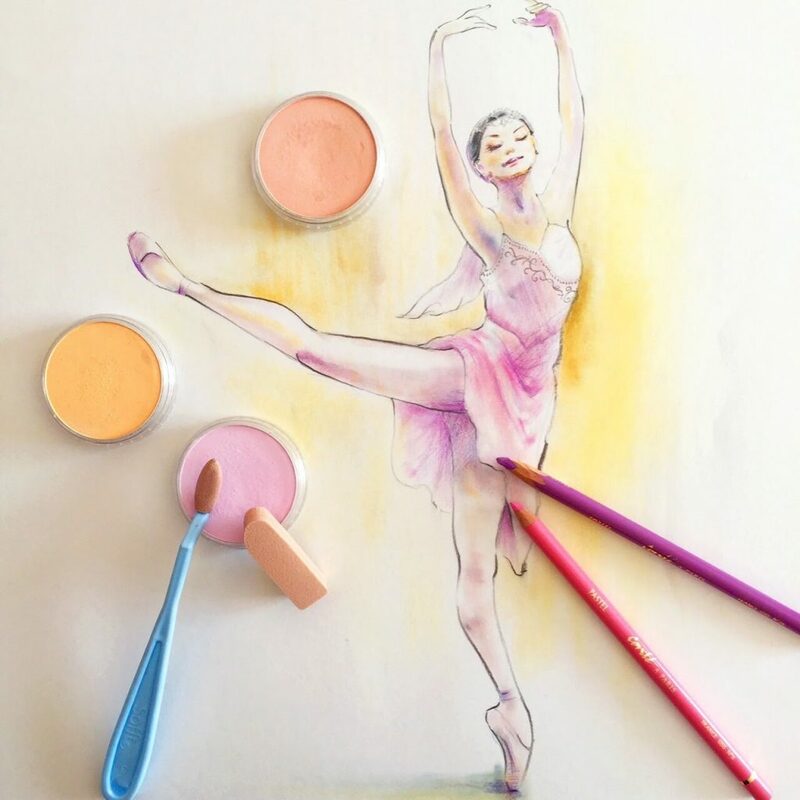 For example, PanPastel Color is the best material that I know to paint pictures of ballerinas with clean beautiful skin with thin transparent tights and tutus. At first, I use PanPastel for the entire under-painting. It can be easily erased or modified which is very useful. I partially use water color and color pencils, but mainly PanPastel and soft pastel sticks to add details. 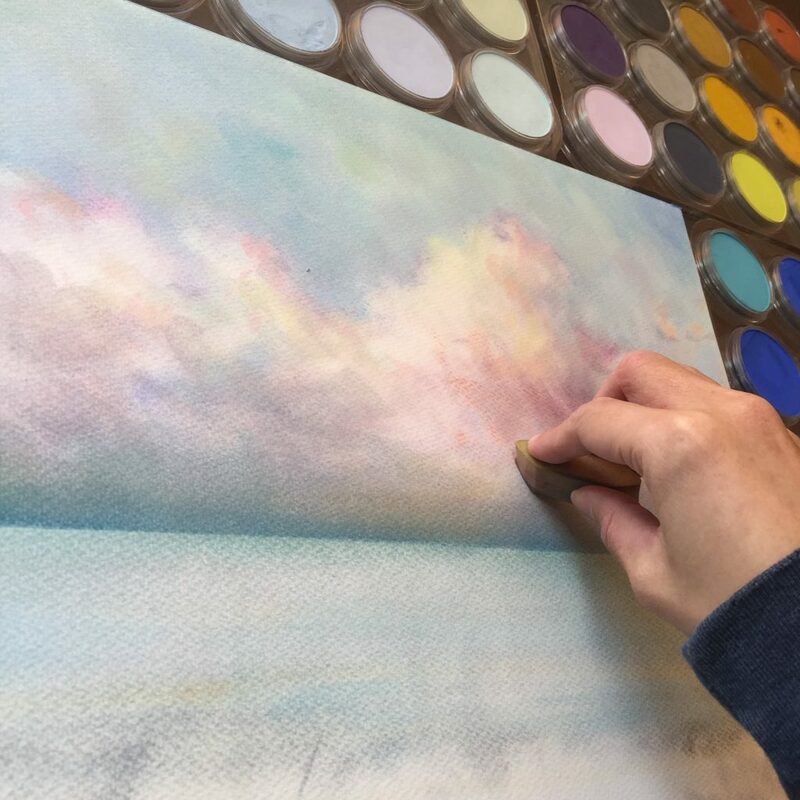 PanPastel Colors allow me to layer different colors with keeping a good amount of texture and brushstrokes. I use different paper depending on what I will be drawing or painting. When I draw figure painting, I use smoother paper. On the other hand, I use sanded surfaces when I draw landscapes. To be more specific, I use Arches or Watson Paper for figure paintings and Ampersand PastelBord for landscapes.Canson Mi-Teintes Touch can be used for both paintings. Tell me about your atelier/studio. 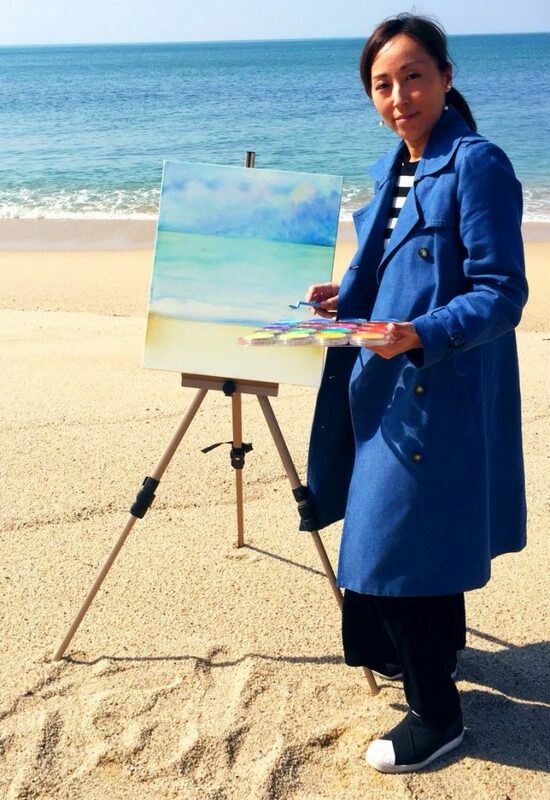 My atelier is located close to the sea. Good thing is that I can go out and draw pictures at the optimum time when the sunset or the snow is beautiful. I also visit ballet studios once in a while to do croquis (sketch). 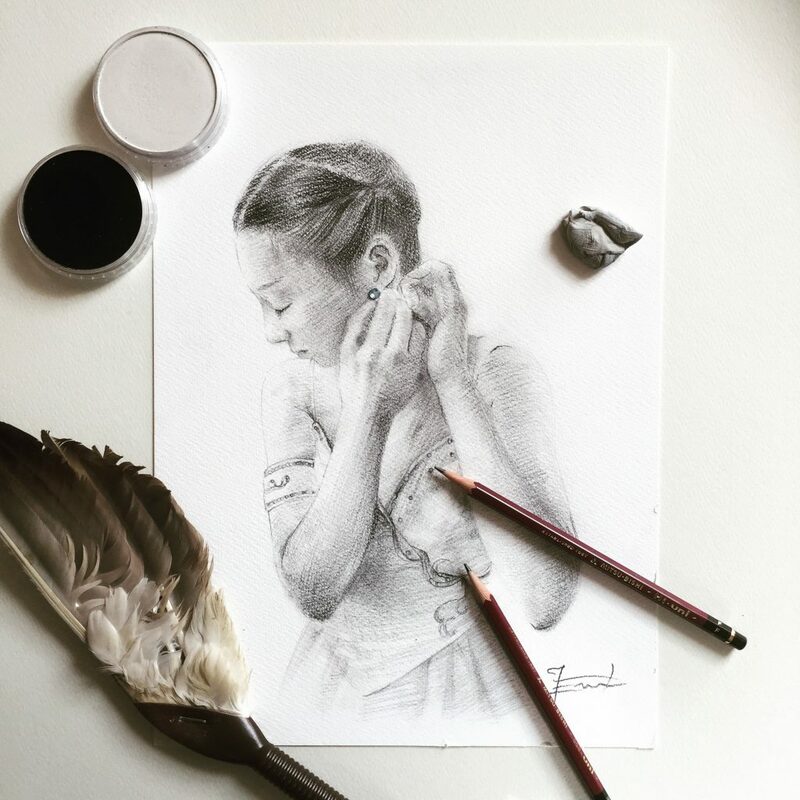 I am interested in drawing pictures of ballerinas who are seriously practicing physically or mentally instead of drawing pictures of dancers doing a pose. Unlike in the US, in Japan, it is not as common to have some connection between arts and everyday life. When I lived in the US, I was surprised to see my friend choosing a picture at a store just like choosing accessories or clothing. We don’t see much of those situations in Japan. It was not an easy thing to continue creating art with a new born baby. I once thought to give up doing art before moving to the US. My friend in the US advised me to enjoy drawing at my own pace and the advice released me from being too nervous of being artist. Actually, I met a lot of artists who are raising their children and also continuing their art work. I really appreciate that I had a chance to get inspired by them. What have you learnt as an artist and what are your artistic goals for the future? Drawing enriches the way of thinking and also give color to each individual life. It sometimes conveys messages which can hardly be done by words only. I would like to keep doing my art and to communicate to a lot of people how fun art is. In the future, I am thinking of producing a collaborative exhibition that will bring together art, music, and dance performance. Nowadays, it is pretty easy to send messages throughout the world using social media. I look forward to meet all kinds of people and work together. I enjoy spending time with my children. I make my housekeeping duties fun by doing them with my children. Emi teaches workshops in collaboration with Holbein in Japan.